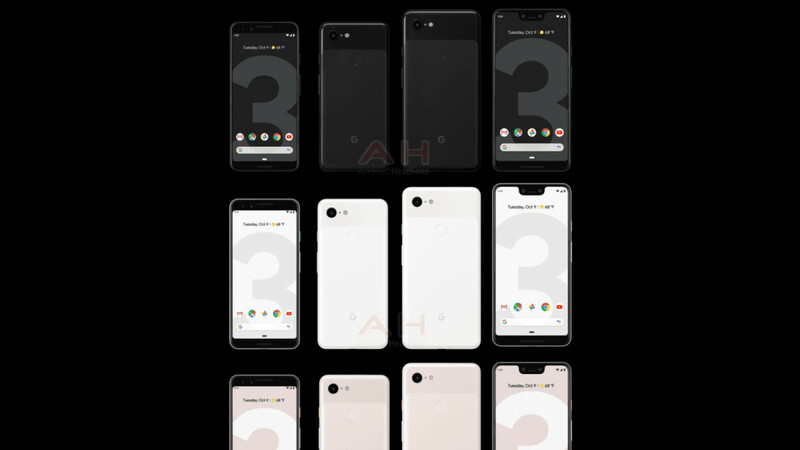 With just five days to go before Google takes to the stage to unveil the Pixel 3 and Pixel 3 XL, the company’s upcoming flagship devices have just leaked out one final time in a new set of renders that confirms all three color options: black, white, and Sand. Starting off with the lesser-known variant, it turns out that Sand is indeed Google’s official name for the pink-colored Pixel 3 and Pixel 3 XL. As can be seen, the company has avoided bright tones all around and has instead opted for a much more neutral tone. However, in the hope of injecting some artistic flair, the company has included an accented power key that adopts a deeper pink color. Moving over to the white model, this coincides perfectly with all previous leaks by making use of the same accented power button and dual-tone body. Due to the bright white coloring, though, the different finishes are hard to distinguish. At least in the renders, anyway. Fortunately, this problem isn’t present on the black model. This is due to the fact that the frosted glass section adopts a greyish tone, while the glossy portion boasts a much darker tone. 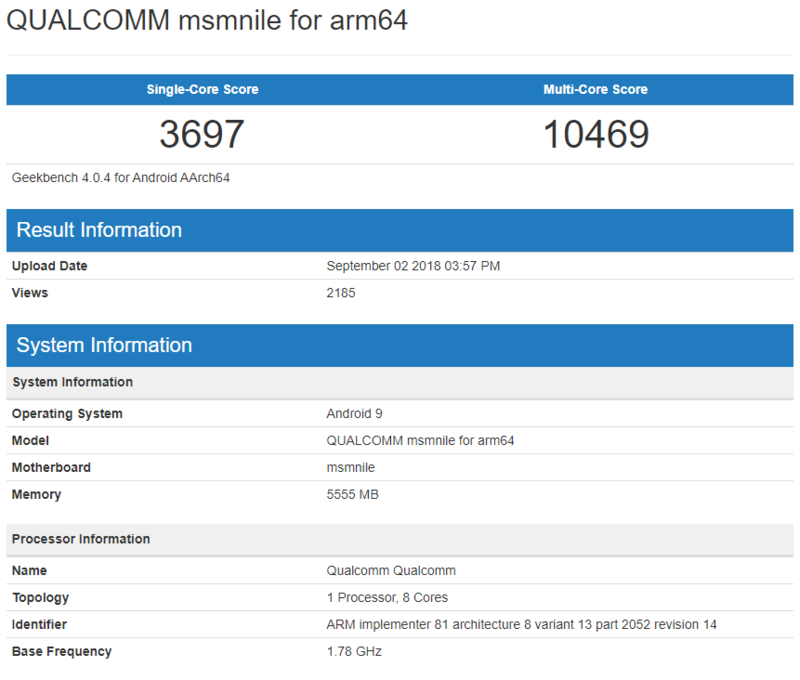 In regards to the internal characteristics, both the Pixel 3 and Pixel 3 XL are expected to include Qualcomm’s Snapdragon 845 alongside 4GB of RAM and at least 64GB of internal storage. This will then be coupled with a single 12-megapixel camera on the rear and two sensors up front. Unsurprisingly, as these devices are Google-branded, they will ship with stock Android 9 Pie straight out of the box. When it comes to the few differences, the smaller Pixel 3 will include a 5.4-inch 18:9 display, while the larger model will boost this to 6.7-inches and introduce a large notch. Battery-wise, a 3,000mAh pack will be present in the former, while the latter should gain access to 3,430mAh. As repeated countless times, the Pixel 3 and Pixel 3 XL are set to go official next Tuesday, October 9. Here, Google is also expected to announce a number of other items including a third-generation Chromecast and the Google Home Hub. iphone looks WAY BETTER than this. I’m not a apple fan, but you’re right. No your wrong any phone looks better than this. Lol, whatever most people see today, it design and testing 2-3 years ago. Few month to make change, it is a fantasy. Or... Just ask all those reviewers, they should've got their review unit a few days ago. They might silently giggling to all those people who get trolled by Google. Or they might scream internally because those leaks are real and they just have to deal with it. judging by the size of the speaker grill on the XL, the sound quality is gonna prob be terrible out of the speaker. Sharp and tinny, just like the Pixel 2 standard. Boo. I thought we were getting a mint green option. Can they sell over 4 million of these phones this year? https://cdn.wccftech.com/wp-content/uploads/2018/09/Snapdragon-855-Geekbench.png Google should’ve wait for snapdragon 855 at least pixel fan will buy it just for snapdragon 855 and higher geekbench for the first time. I don't think they look as bad as some people are making it out to be. I'm liking the sand and white colors. Someone needs to fire the Google design team of these third generation Pixels. Public opinion (anyone with eyes) has marked these phones as quite possibly the ugliest of all time, especially the Pixel 3XL. I seriously was considering buying one, but the design is a complete turn off. At the smaller Pixel almost decent looking....maybe I'll go for that one instead. I really like the look of the non-XL. I could see myself picking one up as my next phone.